This site is pretty cool for killing some time and having fun with your friends. 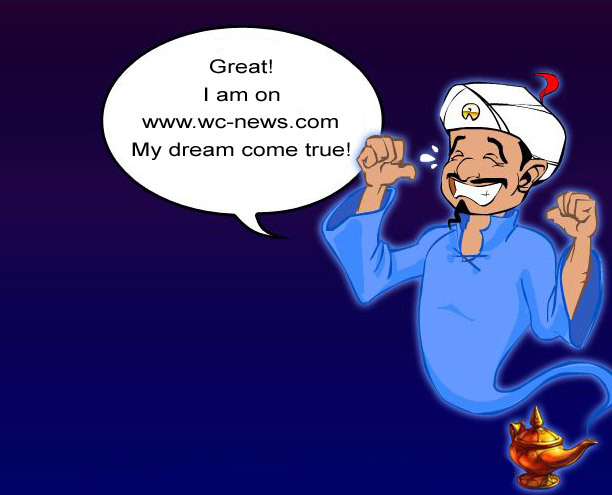 The genie of the lamp won’t grant you 3 wishes but can guess any celebrity you think of. Like singers, artists, historic heroes you name it and even can guess a character that is not a real! We have tried and it guessed 9 out of 10, which is pretty impressive. How it works? You just think of some character and then you should answer few questions. That’s it. For having more fun you should call some of your friends and tell them to imagine some celebrity and you will guess of which celebrity they are thinking at the moment!